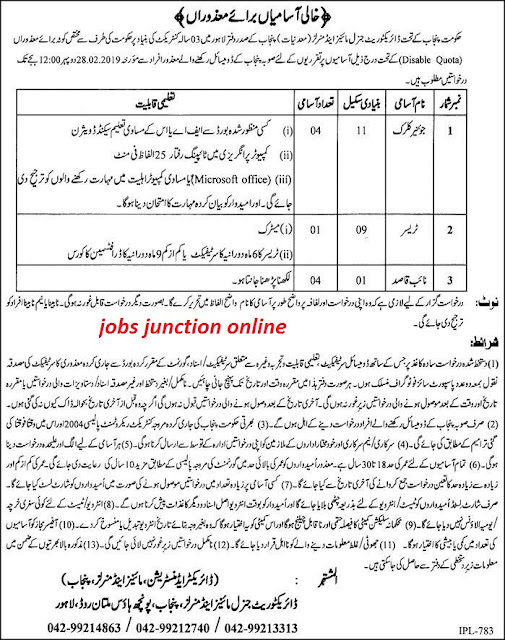 Jobs in Mines & Minerals Department Punjab in 2019 for Junior Clerk, Tracer, Naib Qasid, are the posts which require being filled on contract basis for the period of 3 years. Great jobs have been announced by Punjab government in Mines & Minerals Department. You can only do this job in Lahore. Age of the applicants should be 18-30 is required. People who want to apply for this job are required to apply by sending the handwritten application or the application should be written on a simple paper along with all attested copies of educational and experience certificates and 2 passport size photographs should be sent to the proper address.